FLAT FEE MLS - How? Why? The Multiple Listing Services throughout the nation are typically owned and operated by Regional Realtor Associations. Regional members in North Carolina, South Carolina, & Virginia are also members of their State Association of Realtors and the National Association of Realtors. Licensed Real Estate Member Participants use the MLS to list property information which is then disseminated to all members through a sophisticated computer network. Through the MLS, listing agents offer and agree to compensate other members for selling their listings. Typically the listing agents offer of compensation to the selling/buyers agent is 50% of the total commission. For example, a 6% commission would be split equally between the listing and selling agents, 3% to each. When you list your property for a Flat Fee you'll save the listing portion of the sales commission. Always remember that real estate commissions are negotiable and that you can choose the amount of compensation that you want to offer a buyers agent. Utilizing the MLS effectively markets your property, in this region, to thousands of agent members. The MLS data is updated continuously as properties are placed under contract, sold and as new listings are added. Agents can search for property specifying a seemingly endless list of criteria, ranging from price and location, down to the smallest details like room size or even the view. This sophisticated search engine makes it easy to find properties that match a buyers wants and needs. Nearly 9 out of every 10 homes sold are sold through the MLS and it's Cooperating Member Brokers. Informed Buyers seek Buyer Representation when purchasing real estate. Motivated Buyers use Buyers Agents to quickly find them their ideal property. Typically, serious, motivated, buyers don't have time to scour the newspaper or sort through all of those publications available at the local grocery. Many of those publications come out monthly, quarterly and some even semi-annually. The info contained within is dated and of little value to a serious buyer. Serious buyers are motivated by the limited time afforded to find that idea home. Whether they've just sold their existing home and have just 30 days to find a new one, close and move or they're in town on a weekend buying trip, time is short. Buyers know that the most efficient and effective way to find the property that best suits them is through a local broker with access to the MLS and all available listings. Over 80% of all home buyers are utilizing the internet to search for property. The MLS effectively markets your property to it's member brokers but that's just the beginning. The listing info is also disseminated, in part, to most Local Firm and Agent Web Sites and to Realtor.com. Through Realtor.com that listing info is made available to a variety of sites that offer Real Estate Searches like MSN and AOL. Listing on the MLS, therefore, gets your property maximum exposure both locally and nationally. NAR statistics show that the average selling price for properties listed in the MLS is 19% greater than those sold by other means. 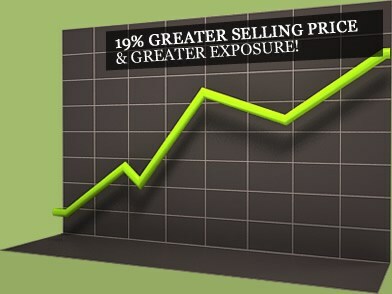 Maximizing exposure in today's market place maximizes you selling price. Listing your property in the MLS gets you that exposure! but it will maximize your bottom line!